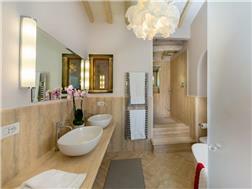 The highest level of reconstruction, attention to every detail, south-facing amazing views, landscaped garden and olive grove. 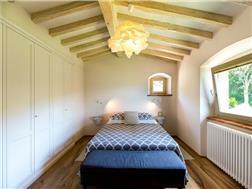 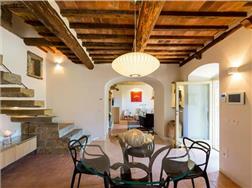 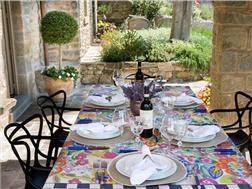 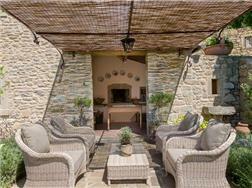 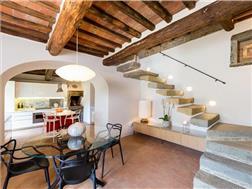 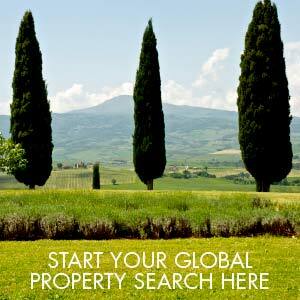 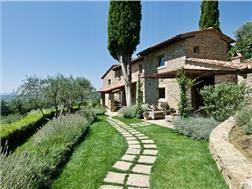 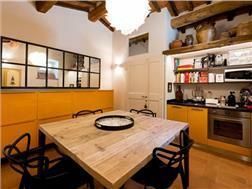 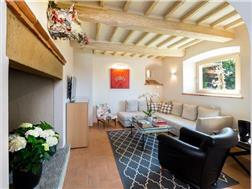 Could this actually be the most perfect 3-4 bedroom property in Tuscany? 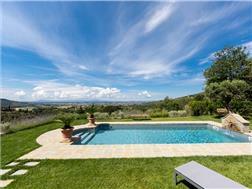 Dating from around 400 years ago and positioned with dominating views over the Val di Chiana towards Monte Amiata and Monte Cetona every window frames a purely Tuscan picture. 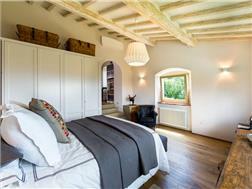 Filled with natural light the interiors are clean and modern whilst using traditional materials creating a welcoming and calming ambience. 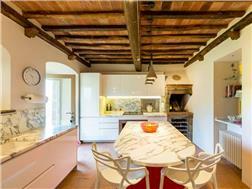 Food lovers and chefs will love not just the spacious, high tech kitchen with open grill fireplace but wait till they see the winter kitchen/dining room and the fabulous outdoor summer kitchen with traditional bread and pizza oven and covered pergola. 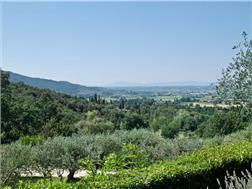 The property includes around half a hectare of fully fenced, terraced land, beautifully landscaped by Margheriti with around 80 olive trees providing top quality olive oil. 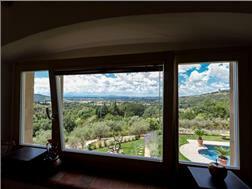 Carefully planned to include shady seating and dining areas each with its own unique and breathtaking view to the valley below. 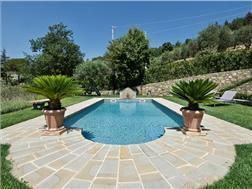 The salt system swimming pool (8x4m) lies just below the house, with fountain feature, palm trees and covered pergola for shade. 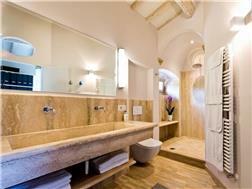 N.B: The outdoor kitchen area has been plumbed and wired for a potential fourth bedroom and bathroom if desired.